Thanks to the trend of cooking over open flames, having your own pizza oven has become very popular lately. Owning a pizza oven will give you the opportunity to delight your guests with artisan bread, whole baked fish and succulent chunks of meat cooked to perfection. But if you’ve already mastered the skill of Mediterranean cuisine with its thin crust pizzas, lamb legs and juicy kebabs, why not go global and try the flavourful cuisine of Mexican food. Authentic Mexican food is fresh, colourful and full of bright flavours. If you can stand the heat of chilli peppers, go to the market now and wow your friends and family with a true Mexican dinner made in your wood fired pizza oven using the recipes below. These jalapeños are a great way to start your meal. The heat is perfectly balanced with the filling of goat’s cheese and the pine nuts give an appealing crunch. 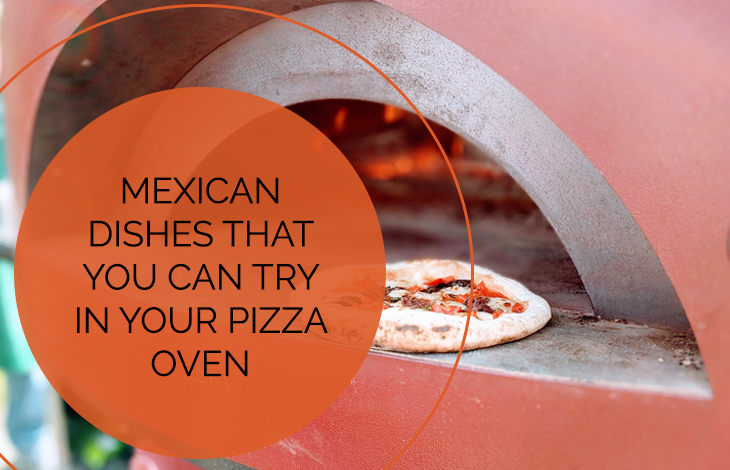 Preheat your pizza oven to 250 degrees. For the roasted garlic, trim the top off a bulb, remove the outer skin and drizzle with olive oil and sea salt. Wrap in aluminium foil and bake 25mins. Roast the jalapeños cut side down on a tray for about 5mins. Let them cool down and mix cheese and garlic well. In another bowl mix thyme leaves and nuts. Fill the jalapeños generously with the cheese filling and top with the nut mixture, pressing down carefully as to combine. 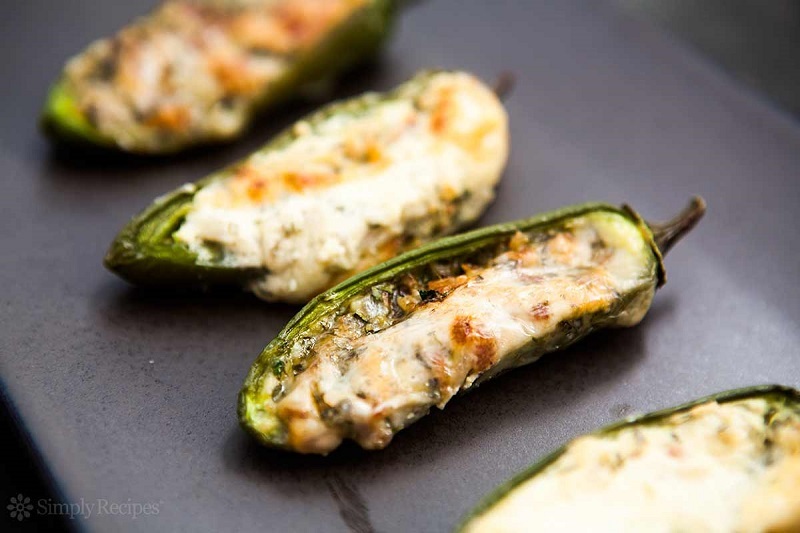 Place the filled jalapeños on a baking tray cheese side up and bake until nuts slightly golden for about 7mins. Stuffing corn flatbread with meat, seafood or vegetables is one of the most historic and popular meals in Mexico. 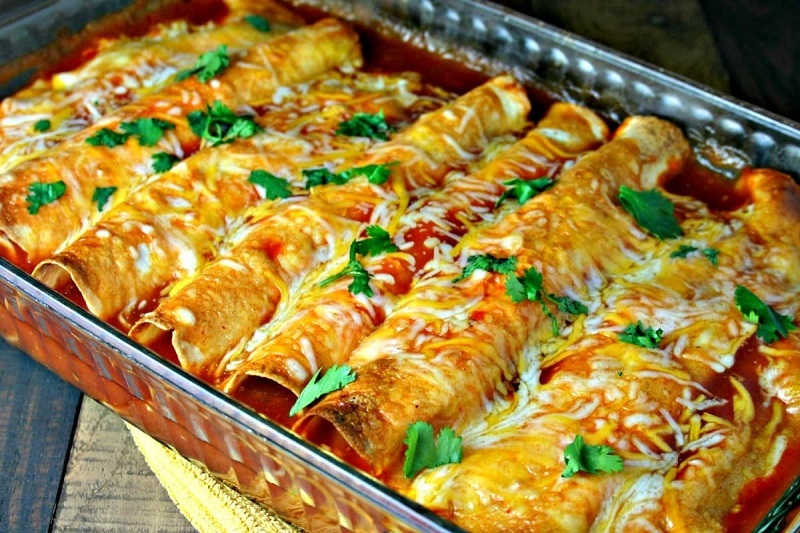 Try these delicious creamy enchiladas in your wood-fired oven for a true taste of Mexican cuisine. Heat your wood-fired oven to 360 degrees. In a small pot melt the butter and sauté the onions and slivered almonds until tender and slightly toasted. Remove from the heat and stir in 1 Tbsp. of the green chillies. In a medium bowl combine cream cheese, 1Tbsp milk, cumin, nut mixture and the chicken. Divide the mixture onto the tortillas, roll them up and place them seam side down in a greased baking dish and set aside. Mix together the remaining chillies, the mushroom soup, sour cream and 1 cup milk. Pour the mixture over the filled tortillas and cover with aluminium foil. Bake in your pizza oven about 25 minutes sprinkle with cheese and the 2Tbsp slivered almonds. Return to the oven until the cheese is all bubbly and has formed a nice crust. These pockets full of flavour can be found all over Mexico and make a great side dish for a chopped salad or finger food to go with delicious margaritas. Fire your pizza oven to 200 degrees. Make the pastry by mixing the flour, baking powder and salt in a large bowl. Add the butter in small pieces and combine with enough cold water to bring the mixture together. Wrap with cling film and set aside in the fridge for 1 hour. Meanwhile, fry the minced beef in a little olive oil until brown. Set aside and brown the onion, garlic and capsicum over low heat until softened, then stir in the paprika and cumin. Add the tomato purée and the stock cube to the pan, add the olives, a little water and bring to a boil. Season lightly with salt and pepper and let boil until the liquid has evaporated. Add the beef back to the pan and let cool. Roll out the pastry evenly and divide into 14 pieces using a glass to cut a round shape. Spoon filling on each round, fold over into a half-moon shape and press the edges together with a fork to seal. 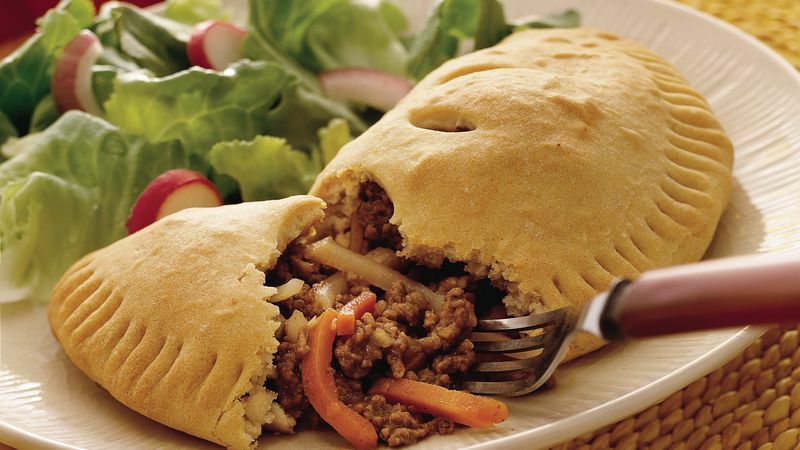 Brush the empanadas with the beaten egg and bake in the oven for 20-25min until golden and crisp.